Armco Barriers can provide customized Pipegard, specific to customer requirements. With the experience of over 25 years in guardrail and barrier systems, Armco Barriers Pty Ltd has become the leader in the safety barrier market. From humble beginnings, the company now has a clientele base that choose not to use others with their safety barriers requirements. An all Australian family owned business that employs Australians and uses Australian resources, we provide service, support and a knowledge of the product that is second to none and will always see our clients return. Expertise leads to Innovation. 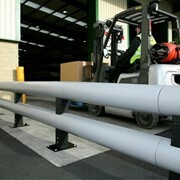 Whilst our competitor’s product remains largely unchanged, ARMCO Barriers continue to innovate. Innovations such as symmetrical holes in the post for easier installation, or internal storage to prevent white rust are all reasons why ARMCO Barriers is the preferred supplier for more and more customers. The development of new and relevant products such as the Stubby Nose terminal, Pipegard, Cornergard , Bollards and Handrails reduce your Occupational Health & Safety concerns whilst providing practical and economical safety barrier solutions. ARMCO Barriers is leading the way as a manufacturer that offers an Installation service by its own staff with total product knowledge. Our teams are first aid, Traffic Management and OH&S trained to ensure the job is performed safely and to specifications. Selecting the manufacturer to install the product has the benefit of faster installation and the assurance that it has been correctly installed. 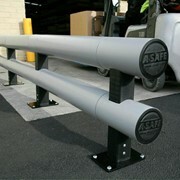 Mention IndustrySearch so Armco Barriers can best assist you! Get a callback from an expert at Armco Barriers to help answer your questions.